Osteopaths treat structural imbalance in the body, without the use of drugs or surgery. Osteopathy can help people of all ages who suffer from pain, tackling complaints ranging from sports and work related injuries to arthritis and sciatica. An osteopaths’ role is to try to help alleviate pain and improve a patients’ mobility in order to make life more comfortable. Osteopathy is a system of diagnosis and treatment that lays emphasis on structural and mechanical problems of the body. It recognises that much of the pain and disability we suffer stems from abnormalities in our bodies’ structure and function. 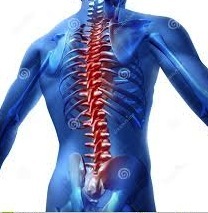 The body depends upon the smooth and effective operation of a finely tuned complex system of bones and joints controlled by a system of muscles and nerves. The bones and joints are surrounded by soft tissue containing the fluids of the circulatory system. At Albert Park Sports & Spinal our Osteopaths understand that changes in the delicate balance in this neuro-musculo-skeletal system and its circulatory components can result in pain resulting in decreased flexibility and mobility. We have found that such changes are most commonly the effect of physical strain or injury, but may also be caused by aspects of lifestyle or psychological stress. Often these changes happen gradually without producing obvious symptoms initially, merely a vague feeling of discomfort or of being out of condition. Our Osteopaths pride themselves in maintaining and restoring the balance of this system. No referral is needed to see our highly experienced Osteopaths.